Agricultural Biotechnology Links A selection of agricultural biotechnology web sites compiled by AgBioWorld, a non-profit organization. open to anyone with at least a bachelor’s degree or life experience in a field related to microbiology. Biotechnology Industry Association -An informational and advocacy association for the biotechnology industry. Sections of the web site include information on state and national issues, the biotech industry at a glance, speeches, publications, calendar of events, and membership information. State Bioscience Inititives 2006 Presents updated data, examines growth trends, and identifies metropolitan areas with the largest and most concentrated employment in each of the bioscience subsectors identified in the 2004 report. These include agricultural feedstock and chemicals; drugs and pharmaceuticals; medical devices and equipment; and research, testing and medical laboratories. This report also identifies current key trends in state and regional initiatives to support the biosciences.- Presents updated data, examines growth trends, and identifies metropolitan areas with the largest and most concentrated employment in each of the bioscience subsectors identified in the 2004 report. 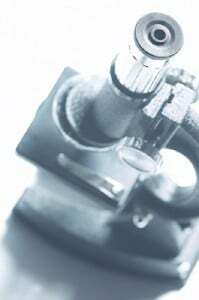 These include agricultural feedstock and chemicals; drugs and pharmaceuticals; medical devices and equipment; and research, testing and medical laboratories. This report also identifies current key trends in state and regional initiatives to support the biosciences. The Council of State Bioscience Associations (CSBA) – state level biotechnology organizations. BioCompare – the consumer guide for the life scientist. Source for life-science product information. BioSupplyNet – where to find biomedical research supplies. BioTactics A directory of web sites for marketing and business development professionals in the biotechnology industry. Guide to Biotechnology – industry information for biotechnology. BioWorld Biotechnology State of the Industry Report 2012 Table of Contents. The Worldwide Biotechnology News and Information Source BioWorld Online provides biotechnology news and information. Registration is required to access some content. Access to publications and industry snapshots may be fee-based. USDA Biotechnology The United States Department of Agriculture provides biotechnology agency descriptions, a biotech glossary, frequently asked questions about biotechnology.